Bushfire Risk Reducers is a private bushfire risk management company, based in South East Queensland. 28/08/12 - By taking a number of simple precautions when using your agricultural machinery, the incidence of bush fires and spot fires can be dramatically reduced. 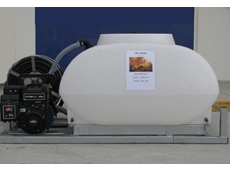 25/10/11 - These portable fire tanks may be custom made to suit individual requirements and are available in a number of sizes. 28/01/11 - Barricade Fire Blocking Gels give firefighters the edge in occasions when critical water resources could be the deciding factor on the toll of a rampant fire. 12/08/08 - Grundfos Pumps offers a range of hydro pumping systems which provide constant pressure and are suitable for pressure boosting in water supply and irrigation systems. 25/07/08 - Tank Management Services offers a complete range of field spray units, specifically designed for agricultural applications. These spray units are available with in various capacities to suit specific agricultural operations. 24/07/08 - Tank Management Services provides the complete range of spray products including trailer sprayers manufactured by Rapid Spray. 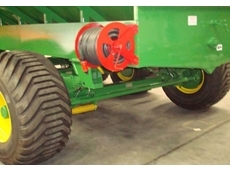 These sprayers are specifically designed for agricultural applications. 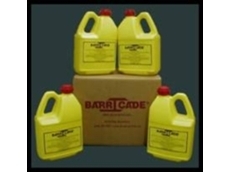 23/07/08 - Tank Management Services provides high quality APR, a roto-moulded virgin HDPE (high density polyethylene) bottle that is secured to a post-consumer recycled plastic pallet. 15/07/08 - Interlink Pumps and Sprayers provides a distinctive range of pumps. BH10 engine driven pumps have been specifically designed for emptying, wash down and emergency irrigation applications. 10/07/08 - Farmshop distributes an extensive range of animal care equipment, shearing equipment, spray units and sprayer guns. 09/07/08 - Browns Sheet Metal offers Panel Tank for use as water cartage tanks, fire fighting tanks and general purpose truck tanks.